Full Endoscopic Discectomy (FED) is a minimally invasive technique for the treatment of Lumbar Disk Herniation (LDH) with increasing popularity among surgeons in the recent years. 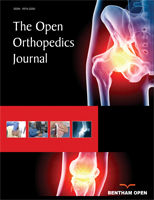 This alternative to conventional procedures surgical approach is generally a safe and efficient technique possessing many advantages such as less soft tissue trauma, preservation of dorsal musculature, and reduced perioperative morbidity and rapid recovery. However, FED is associated with a number of complications such as postoperative dysesthesia, nerve root injury, and dural tears. In this review complications associated with FED are analyzed, emphasizing on the potential beneficial role of Transforaminal Endoscopic Spine System (TESSYS) technique in reducing their frequency. Keywords: Complications, Full endoscopic discectomy, Lumbar disc herniation, Minimally invasive technique, Microdiscectomy, Nerve root injury, Spine surgery, Transforaminal endoscopic spine system technique. © 2019 Kapetanakis et al.